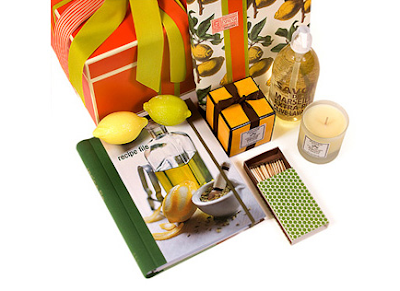 A stunning gift display by gifted "wrapper" Sande, of a Gift Wrapped Life. Here's the skinny (low-fat, sugar-free) on my view of Christmas this year. It goes something like this: every November, I have a psychotic breakdown when I visit the mall three weeks prior to Thanksgiving and see columns trussed up like candy canes. I shout insults at Christmas commercials featuring shiny wrapping and sprinkled snow scenes, while outside the trees are golden. I picket local radio stations who dare to broadcast carols while the Target is still clearing out its Halloween candy sale. 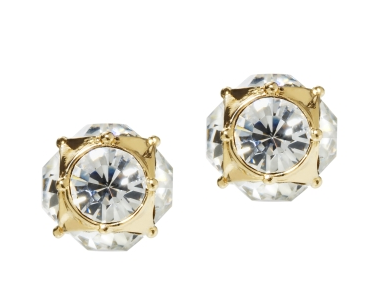 My favorite so far: Kate Spade's $50 and under gift guide. 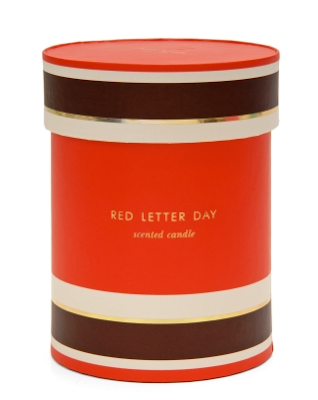 Red Letter Day candle, $48. 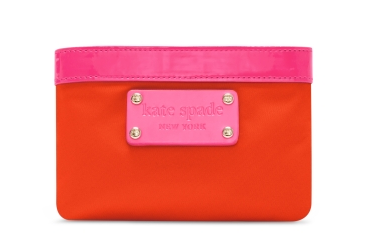 Grammery Park Coin Purse, $50. Sanity:I love that premature Christmas drives you looney, too. Like you, however, I find myself getting ever so slightly excited to get this holiday season going. Sande is so cool - loved seeing her work here! So funny. I had a breakdown at the mall yesterday buying my son some shirts from the Gap. I felt like the walls were closing in on me. I love this time of year and hate it all the same. 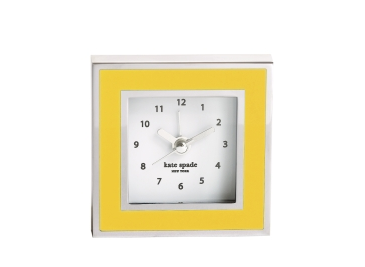 Love going into the Kate Spade store. It makes me happy> And one year, I convinced them to give me the window dressings from the holiday display and use it at home all of the time! What does the candle smell like? I think I probably need those studs... I mean in order to make it, you know. On the other side of that coin ... . 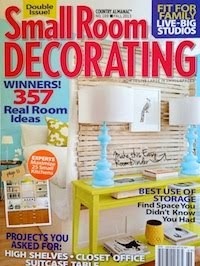 I know that if I'm to have all my handmade cards & decor done , I've got to start NOW ! haha, i'm feeling kind of nostalgic myself this year which is strange b/c i normally don't get excited about this time of year. that headband is stinking awesome and needs to be on my head. I want all of it (except maybe the barette, but that's just because my hair is pretty short). I've been debating about when to start up Ye Olde Holiday Blogging myself, worrying that it's still too early, that I'll holiday myself out, etc. And yet somehow I find myself drinking peppermint mochas, humming carols, and feeling just a wee bit festive. Maybe this is because of all the crap that's gone on the past year? Does this mean I can start Christmas posts or not? I'll leave the decision in your psychotic hands. My daughter and I were loving the Kate Spade Christmas lists over a cup of tea yesterday morning! We were trying to figure out who we could buy these gifts for. 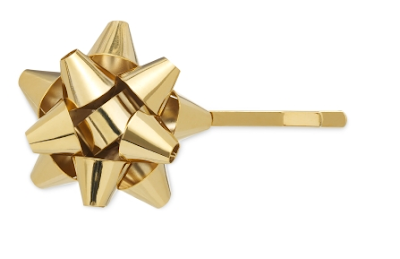 I really want that bow hair pin. It comes in a set of 2, one for me and one for my daughter!! !